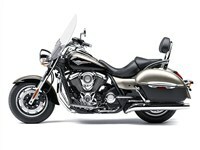 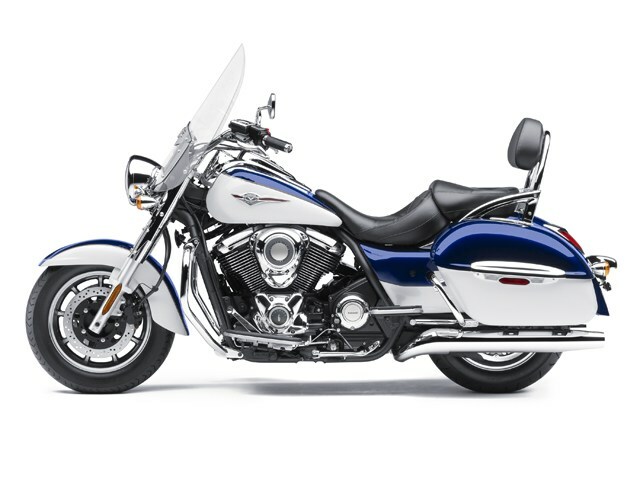 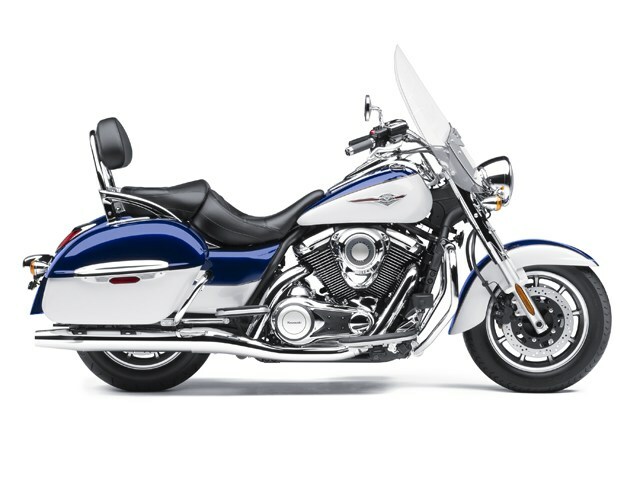 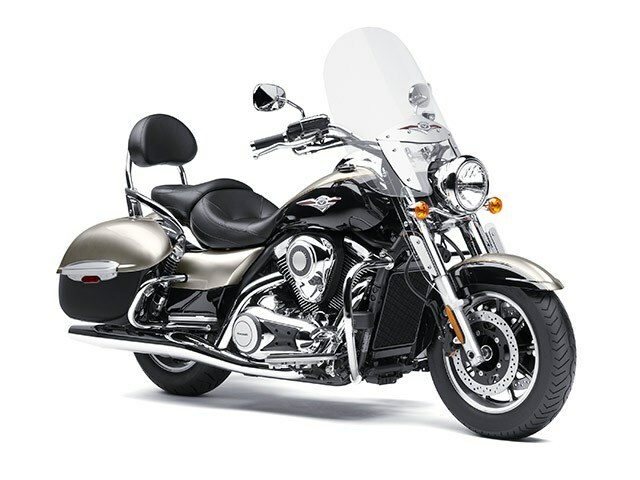 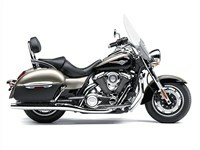 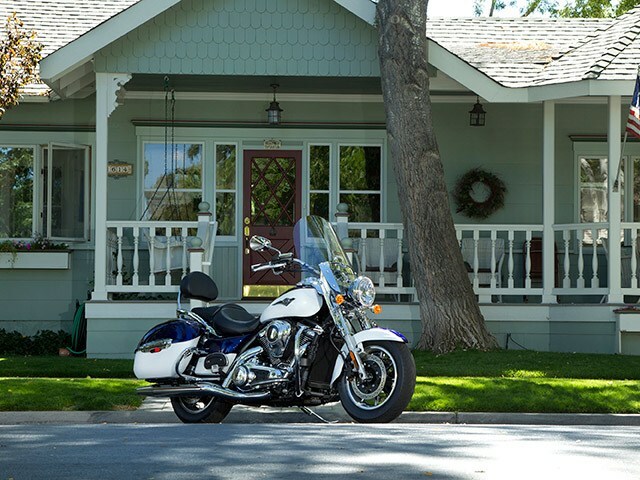 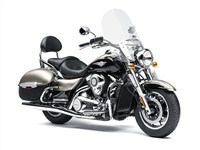 The traditionally styled Vulcan® 1700 Nomad™ fits right in with any classic bike, from one to eighty years old. 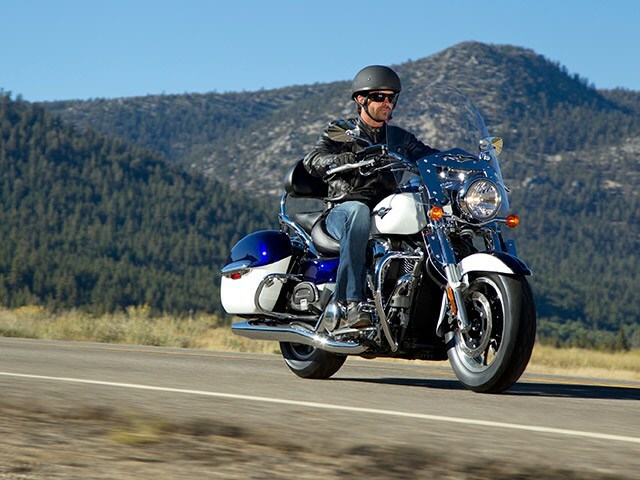 However, just because it looks the part, doesn’t mean you have to settle for anything less than modern performance and reliability. 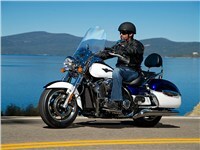 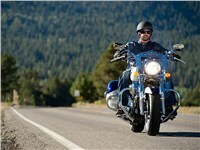 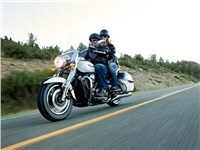 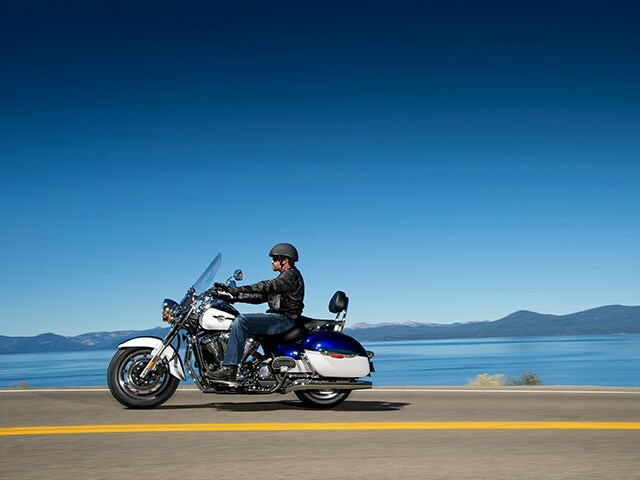 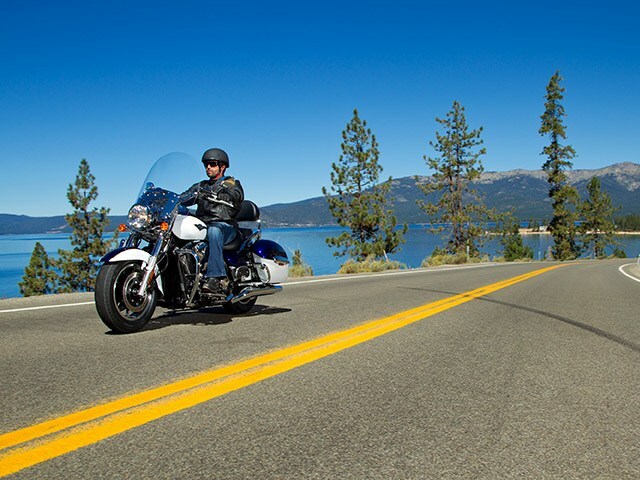 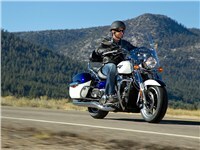 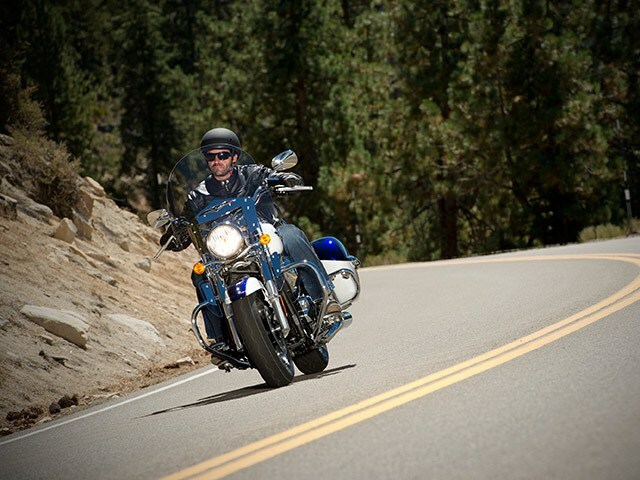 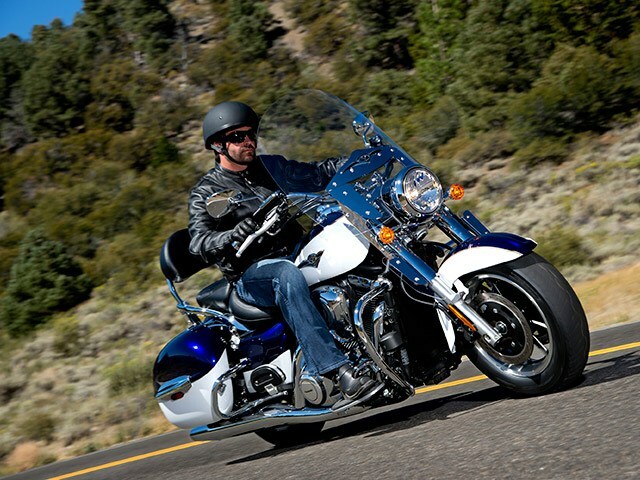 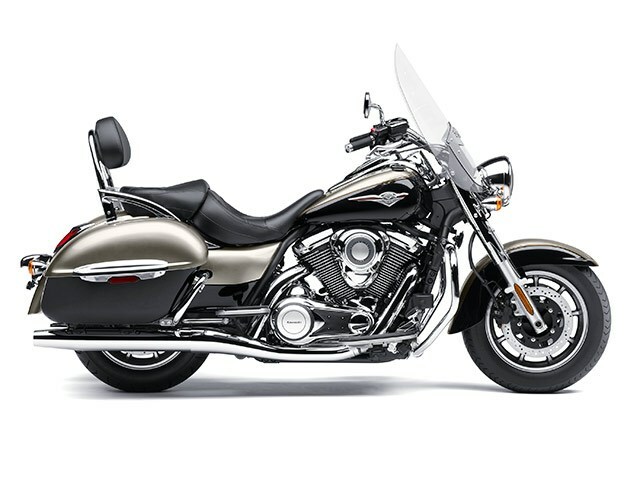 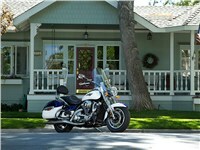 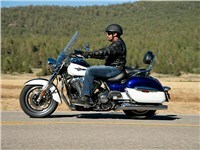 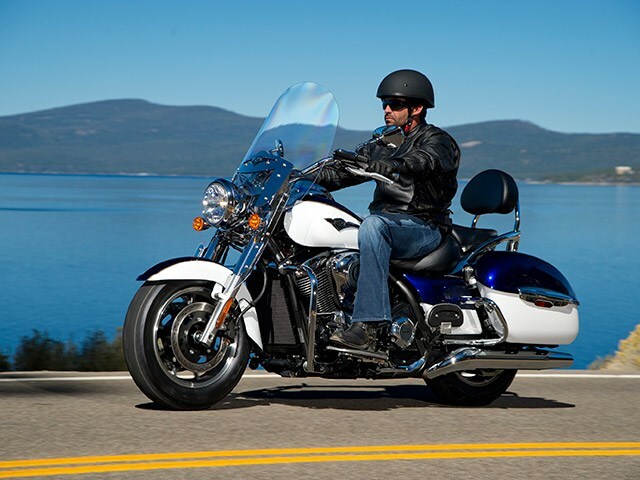 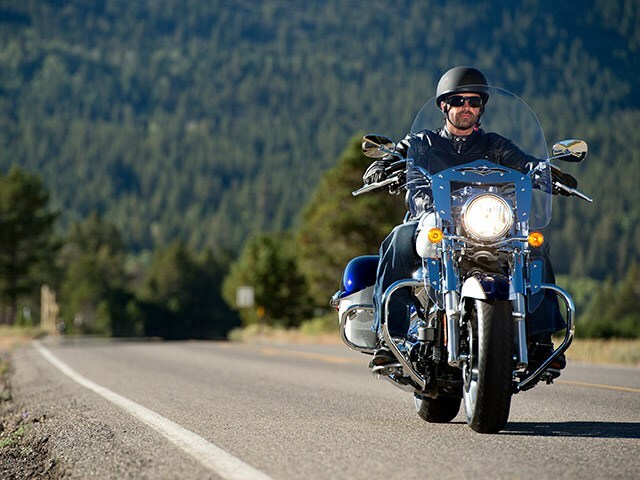 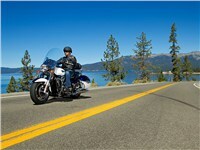 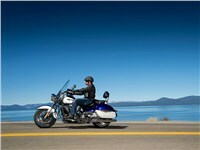 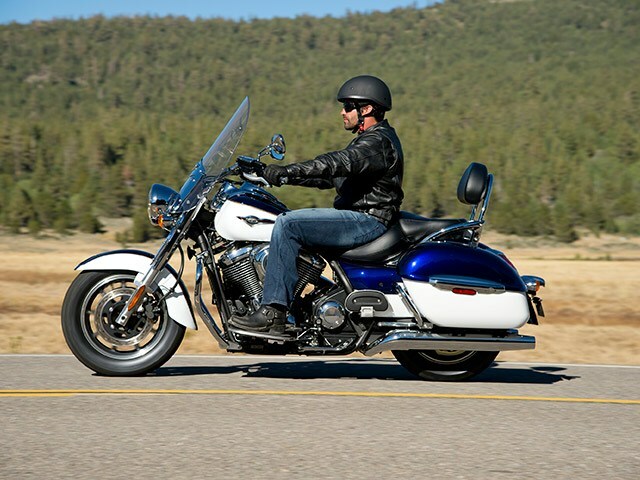 For some it’s a full-blown touring bike, the large windshield, hard saddlebags, floorboards, backrest and standard cruise control help take the sting out of long days in the saddle. Strap a sleeping bag to the pillion, throw a leg over its low-slung seat and feel the Nomad’s powerful 1700cc V-twin effortlessly inhale the miles while you decompress and watch the world scrolling past. 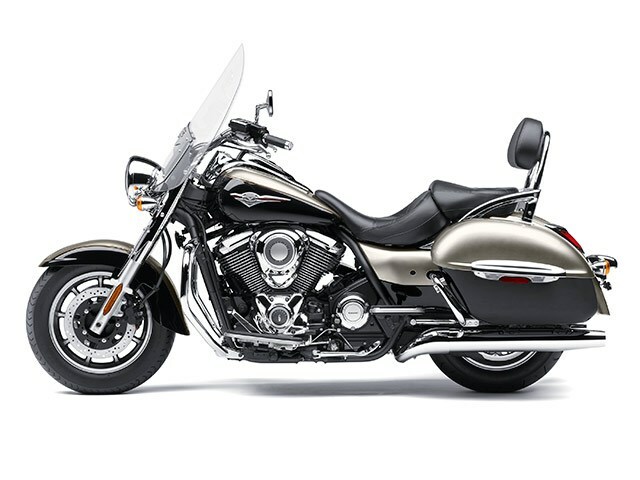 With its mix of the latest technology and luxurious two-tone paint adding to its classic style, it’s a one-two punch of thrill. 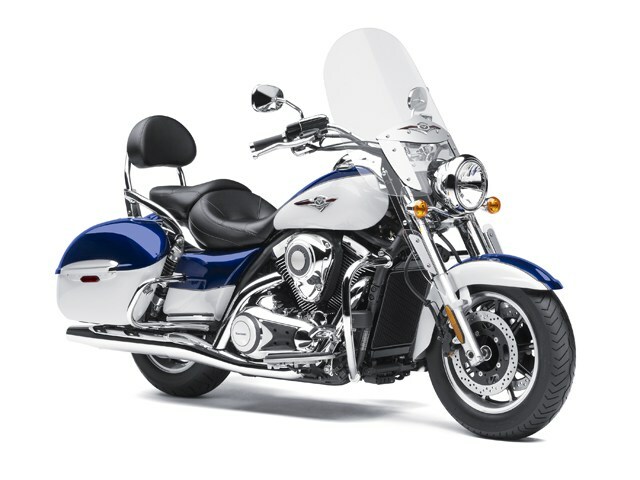 **Curb weight includes all necessary materials and fluids to operate correctly, full tank of fuel (more than 90-percent capacity) and tool kit (if supplied).